Armenia has a comprehensive disability law among 19 Governments in the world. Also we have national action plan on disability that have been adopted in 2009 together with 29 Governments of the world. However, a thorough examination is required as to the exact content of standards and coverage. Armenia has acceded more than 50 human rights international treaties and has signed the International Convention on the Rights of Persons with Disabilities and the Optional Protocol, the International Convention for the Protection of All Persons from Enforced Disappearance, and the Optional Protocol to the International Covenant on Economic, Social and Cultural Rights, which are currently in various stages of the ratification process. Notwithstanding the progress that was done in national legislation for ensuring equal Rights for Disabled, the sign language is not recognized as a “language” and there are not enough translators/trained teachers at inclusive schools and other educational institutions. 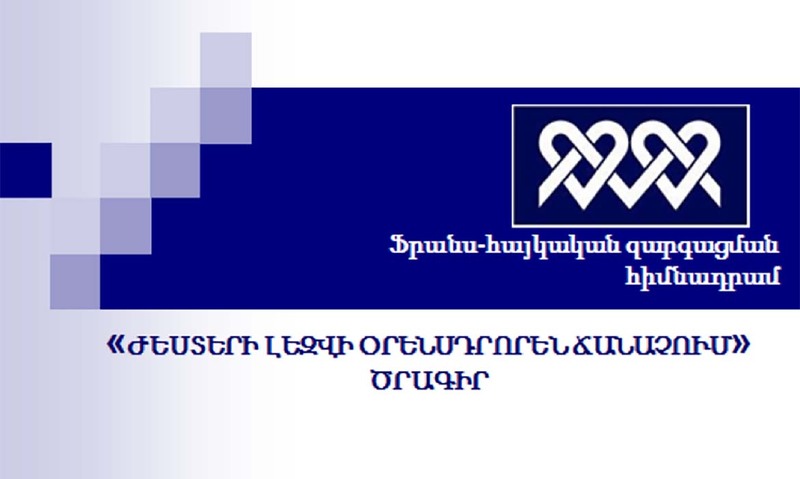 The goal of the project is to elaborate law recommendations aimed at the recognition of the Sign Language for guaranteeing Equal Rights for the Deaf and Hard of Hearing persons in Armenia.